Dr King arrives at an hotel and calls the lift and a gunman (Storm Durr) pulls a pistol from his coat pocket behind him. The gunman gets to his feet and hides his pistol under his newspaper. Dr King is surprised when Steed gets out of the lift with M'sieur Roland (Careleton Hobbs), and he's watching Steed walk off when the gunman shoots another guest, Price (Ray Browne), on the stairs and flees. Steed returns to check the victim and tells King he got the wrong man. The hotel porter tries to maintain order until a policeman (Anthony Blackshaw) arrives, too late for the victim. 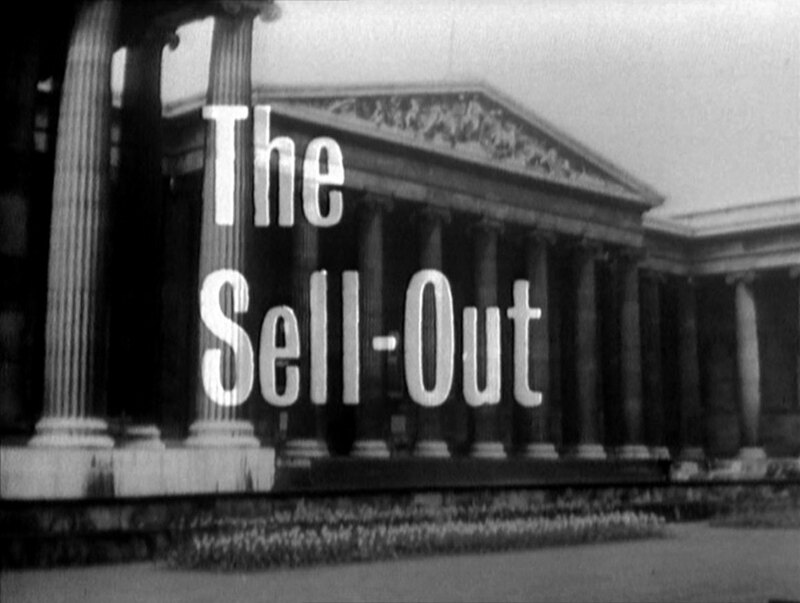 Later, at the British Museum, Steed meets One Twelve (Arthur Hewlett) who wants to know why Roland was not delivered to a conference with the minister that morning. Steed tells him a man was shot and killed at the hotel while he was accompanying Roland through the lobby, so he advised Harvey of a 'washout' and Roland is holed up in his suite. One Twelve reprimands Steed for failing his assignment and Steed tells him he's sure there's an informer in the department, given the recent run of failed missions. One Twelve orders him to obey him regardless and Steed asks to see One Ten instead, and is told he's not available, Steed is responsible to him. He gives Steed the new arrangements - which Steed had expected to work out with Harvey - and leaves, telling Steed to give his regards to Harvey's attractive wife. After they depart, a man in a trench coat - Fraser (Michael Mellinger) - emerges from behind a statue and tails Steed. 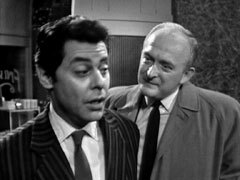 Mark Harvey (Frank Gatliff) tells Steed that he had to endure the minister's rants about inefficiency because of the washout. 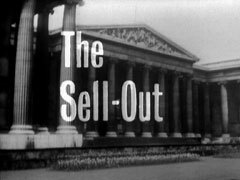 Steed shows him One Twelve's plan then Mark stomps out when Lilian Harvey (Anne Godley) comes in with a tea tray, saying he doesn't want any. Steed notices she's wearing a new designer dress and learns that Mark has had an extension built to work away from the rest of the house. Lilian says he's been doing well lately - he is an architect, and spends a lot of time in the new room. Mark returns, having copied the instructions, and tells Steed he'll "contact the surveyor to determine the cost". Steed declines more tea and leaves, Lilian turning anxiously to Mark and asking if he's alright. Fraser follows Steed back to Roland's hotel where Roland complains about the 'unnecessary' security arrangements, notwithstanding the attempt on his life. 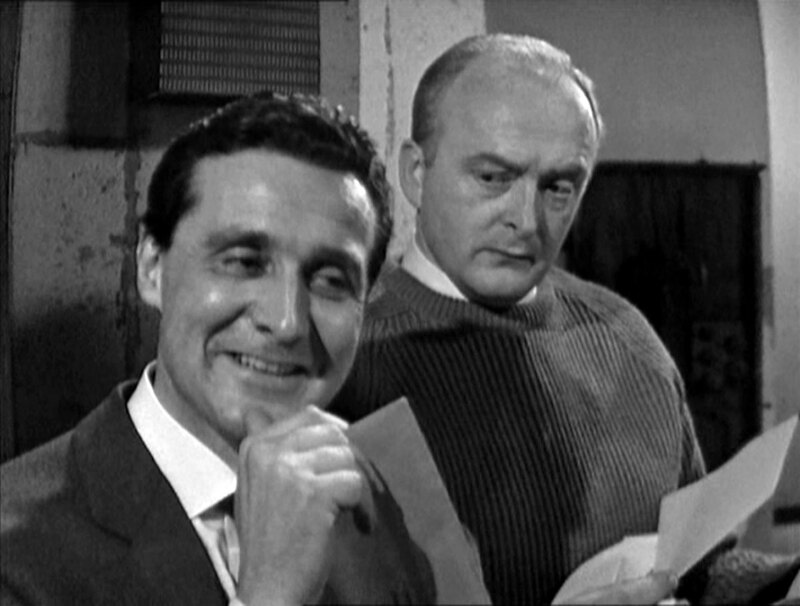 He concedes that the peace negotiations would fail without him and is given the plan for the next day's meeting - but Steed has an amendment, he'll take Roland's place in the car and assures him he will meet the minister the next day. "That is, if you don't change the plan again, M. Steed", Roland gripes. Steed visits Dr King (Jon Rollason) and tells him he needs his help in protecting Roland, at which Martin complains about being called out to tend to a dead man and says he'd be better off with a pathologist. Steed tells him it could have been Roland, and the perpetrators will try again. He outlines his plan to take Roland's place and enter the hotel by the kitchen entrance, and wants the doctor to shadow him and keep an eye out for anyone else doing the same. Martin refuses, telling him from now on he's just going to be a doctor, not a counterspy or bodyguard. Steed stands stiffly and tells him at least he's trying to stop the villains. As he goes out the door, the guilt becomes too much for King who asks him what time to be on watch. 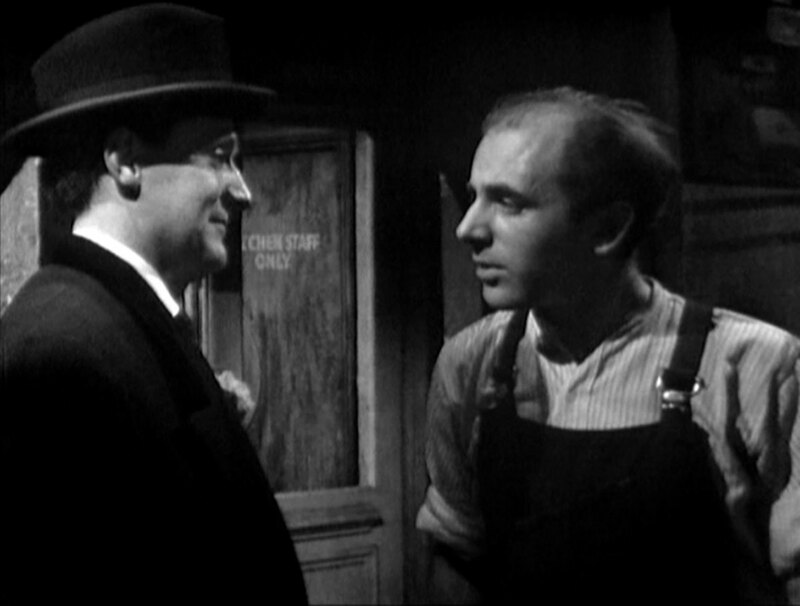 One Twelve goes to a barber's where Fraser is just finishing another customer (Cyril Renison); he asks for a trim. Fraser reports Steed's movements to and is warned to be careful as "Steed is very good". The next day, Steed dons a hat and coat, borrows Roland's distinctive cane and adopts a limp, a flower in the lapel and tilt of the hat completing the disguise. He limps to the waiting limousine and is tailed by the gunman in another car. Steed rings King's surgery from the car and is worried when Judy (Gillian Muir) tells him he went out to tend to a car accident victim, then notices the sportscar tailing him. The chauffeur delivers him to the kitchen door and he goes inside, stopping to ask a workman (Richard Klee) who's mending some plumbing where the service lift is. He's pointed in the right direction but as he leaves the workman pulls out a revolver and is about to shoot him in the back when Dr King bursts through the door and tackles him. Steed dashes back outside to intercept the gunman in the sportscar but his quarry drives off before he can get to him. Harvey visits Fraser's barbershop, furious at Steed's changes to the plan, and is annoyed to learn that One Twelve can't see him. Fraser tells him someone took a shot at Steed, indicating a leak, and Harvey suggests Steed set up the shooting to remove suspicion from himself. Fraser is skeptical but concedes they know someone is selling secrets and reveals he's already been ordered by One Twelve to keep watch on Steed. Steed revisits Dr King, congratulating him on his rugby skills, and tells him the workman was "one of those pay me now, tell me who to shoot next chaps". King quips they should get along famously and is told only five people knew of the meeting - four in the organisation and Dr King, who is exonerated. One Twelve, a superior he's never worked with before who set up the meeting; Harvey, his opposite number who is hiding something; Fraser, who runs the barbershop and is the easiest to keep track of as he's been following Steed for the last two days; and Steed himself - "but I'm Caesar's wife", he says. He enlists Dr King's help in getting back into Harvey's house and tells him One Twelve is throwing a cocktail party for the minister and Roland that night, as the papers have discovered Roland's in the country and they're not hiding him anymore. Harvey catches up with One Twelve at the museum and tries to convince him that Steed is creating a fiction of danger for Roland so when he's killed he'll be in the clear. He's told to be at the party at 6pm and to bring the minister as the meeting will take place at the party, Roland will be leaving the country straight after; Steed will be there and Harvey can keep an eye on him. That night, Steed tells Roland the minister won't be at the party but will meet him in a back room. Mrs Harvey arrives, interesting the Frenchman greatly, looking for Mark who is currently delivering the minister to the meeting room. Mark enters the party and speaks to One Twelve and Steed prises Roland away from Mrs Harvey then leads him to the meeting, breathing a sigh of relief once he closes the door behind him. Back at the party, he learns from Lilian that Mark is often in pain; he tells her he had a breakdown recently and suggests Mark see the same doctor, and gives her Dr King's card. Steed calls King, telling him to expect a call, then drops a pill in Harvey's drink. He notices Fraser isn't at the party and is concerned to see Lilian asking One Twelve probing questions; Steed wonders if she might be the informer. One Twelve takes a 'phone call and Lilian returns, discovering Mark doubled over in pain and calls Steed, who says he'll call a cab. One Twelve orders him to stick with Roland and get him to the airport in two hours. Dr King receives a call from Lilian, asking him to come at once, while Steed visits Fraser's shop. He's just discovered his body in one of the chairs when he knocked out - by One Twelve! Dr King arrives to inspect Mark and is told he's been ill for a while but never collapsed before. He asks for the name of the doctor Mark saw before and Lilian goes to look for his address book. He searches the study while she's gone, not noticing that Mark has come to and is watching him. Lilian returns and gives him the name of the eminent surgeon Mark saw previously and he goes to 'phone him. 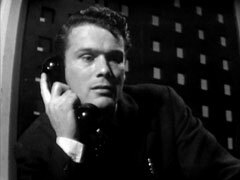 While he's talking to Dr Walton and learning how sick Harvey is, Harvey roughly demands to know who recommended Dr King to Lilian and, learning it was Steed, lies in wait for the doctor with his revolver. Dr King returns and Harvey tells him, "We have a friend in common", as he trains his gun on him. Back at the barbershop, Steed recovers and congratulates One Twelve on the blow. 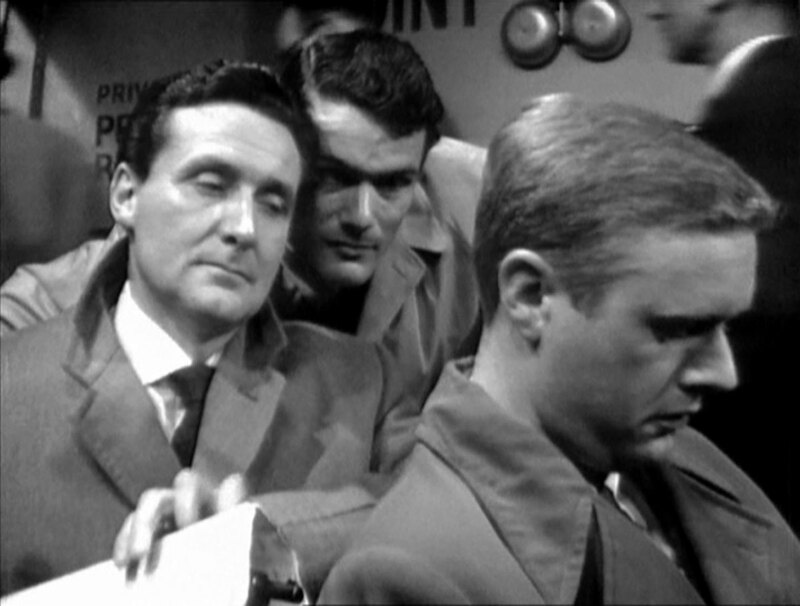 One Twelve tells him he knew he'd spot Fraser and had let Harvey think Steed was under suspicion rather than himself. Steed is told that Fraser called, saying he had proof Harvey was the informer, then is reprimanded for leaving Roland with an agent called Stanley. He's ordered to bring in Harvey, "quietly if possible" while One Twelve takes care of Roland, and Steed queries whether he's not Fraser's killer and going to kill Roland. "You'll just have to trust me", smiles One Twelve. Harvey hands his gun to Lilian and Dr King tries to tell her her husband is a traitor. The 'phone rings - it's the gunman, saying Fraser found out too much and has been killed, and asks for the time of the next meeting. King starts when Harvey brazenly tells him he'd been drugged and Roland is on the way to the airport and it's their last chance to get him. He hangs up and Dr King says he heard everything, at which Harvey tells him they'll take a little walk outside and "maybe they'll meet Steed too". Harvey tells Lilian Steed is a wicked man and Dr King one of his associates in crime, then orders her to get the car out of the garage. Dr King asks him why he's doing it and is told he was taking his last chance to prepare for the future. "You don't have a future Harvey", Martin says, and Mark says he's making a nest-egg for Lilian before he dies. Lilian returns and is told to ring Harvey's associates after he goes. Steed surprises them outside and Harvey is shot after an exchange of gunfire. King tells Steed about the 'phone call and they rush to the airport, where One Twelve is telling Roland he has twenty minutes for a press conference before his flight leaves. Roland's discussing the success of the negotiations and his return to New York when the gunman slips into the press room and sits down. Steed and King race through the night and they arrive just as Roland is taking questions from the floor. While a reporter (Henry Rayner) asks him to respond to the rebels' claim that he supports the colonial power, Steed slips into the seat behind the gunman and asks for his newspaper - at gunpoint. The conference is dissolved and Roland stops to thank Steed for his help and bids him au revoir. One Twelve notices the prisoner and smiles benevolently at him, and Steed leads the gunman away.